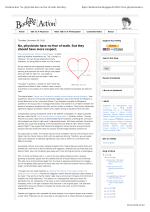 The FAU has published a press release about one of our most recent papers. Wenn Forscher hochstapeln – Erlanger Physiker untersuchen die Packungseigenschaften verschiedener Körper. 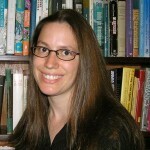 MSS paper „Rotating robots move collectively and self-organize” was chosen for a web collection of primary research and review articles on active matter across a selection of Nature journals. Our recent paper „Systematic Onset of Periodic Patterns in Random Disk Packings” by Nikola Topic, Thorsten Pöschel and Jason Gallas in Physical Reciew Letters 120, 148002 (2018) was featured on the website of the Brazilian Physical Society. Automatisch periodisch: Zufällige Packungen gleich großer Scheiben zwischen parallelen Wänden bilden stets eine perio­dische Struktur. 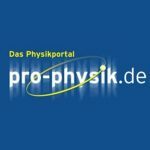 Physiker der Friedrich-Alexander-Universität Erlangen-Nürnberg (FAU) haben nachgewiesen, dass zufällige Packungen gleich großer Scheiben zwischen parallelen Wänden immer eine periodische Struktur bilden – unabhängig von der Breite des Behälters. Roboter mit Fraktionszwang – Rechts- und linksdrehende Roboter simulieren Entmischungsverhalten rotierender Partikel. Physiker der Friedrich-Alexander-Universität Erlangen-Nürnberg (FAU) und der Heinrich-Heine-Universität Düsseldorf (HHU) haben nachgewiesen, dass sich Systeme entgegengesetzt rotierender makroskopischer Teilchen entmischen und homogene Fraktionen aus entweder rechts- oder links­drehenden Partikeln bilden. Viele Disziplinen auf einen Streich – Parabelflugkampagne mit Experimenten zu künstlicher Astronauten-Intelligenz, Plasmakristallen und mehr. Am 9. März 2018 endete die 31. Parabelflug­kampagne des Deutschen Zentrums für Luft- und Raum­fahrt (DLR) erfolgreich: Zwölf Experimente aus Human­physiologie, Biologie, Physik, Technologie­erprobung und Material­wissenschaften befanden sich an Bord des A310 Zero-G.
Science News channel “IQ-Wissenschaft und Forschung” of Bayerischer Rundfunk (BR2) reports on our recent results on the velocity distribution of active granular particles. Wenn Teilchen aneinander haften – Gesetz der Teilchendynamik granularer Gase präzisiert. Die kinetische Energie von Teilchen in granularen Gasen, etwa Staub­wolken, kann temporär steigen, obwohl dem System stetig Energie ent­zogen wird. Das konnte jetzt ein inter­natio­nales Forscher­team erst­mals zeigen. A team of five MSS researchers works currently in Bordeaux to perform parabolic flights. 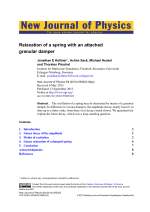 Focus of the experiments are the dissipative properties of granular systems under conditions of microgravity. Further, they perform an educational experiment regaring gyroscopic stabilisation of objects in weightlessness. 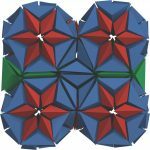 MSS-paper „Rotating robots move collectively and self-organize” published in Nature-Communications. 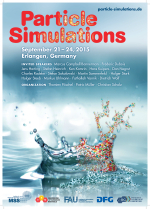 MSS-paper „Increasing temperature of cooling granular gases” published in Nature. Prof. Brilliantov (University Leicester, UK) is one of the most recognized scientists in the field of Kinetic Theory and Statistical Mechanics of granular matter. He will visit MSS for one month to collaborate on phase transitions of systems of active granular particles. Moderne Verfahren, wie Computertomographie und numerische Simulationen, führen dazu, dass immer mehr Forschungsergebnisse aus dreidimensionalen Datensätzen bestehen. Der Lehrstuhl MSS zeigt in Zusammenarbeit mit der theoretischen Physik und der Nürnberger Firma Cykyria wie sich solche Datenmengen mit Hilfe von virtueller Realität anschaulich darstellen lassen. Thorsten Pöschel berichtet im 237. 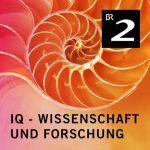 Podcast der Welt der Physik über granulare Materie. A research collaboration involving Prof. Michael Engel reported the self-assembly of gold nanoparticles of a particular shape with DNA ligands into clathrate colloidal crystals. The work required a combined effort of state-of-the-art synthesis techniques and DEM computer simulations. The 100th talk in the series of MSS seminars will be given today by Seyed Habibollah Ebrahimnazhad Rahbari, Korea Institute for Advanced Study (KIAS), Seoul. Dr. Mubashir Hussain will work on reaction models for the particle-based simulation of combustion processes including the formation of soot. ‘Condensed Matter Physics’ dedicated a special issue 9/2016 to the 65th birthday of our friend and MSS Humboldt-fellow, Stefan Sokolowski. Habib Ebrahimnejad Rahbari from the Korea Institute for Advanced Study in Seoul, South Korea, will visit the institute for the next 3 months. Habib is an expert in the fields of `wet granular matter’ and `fluctuations in granular systems’. 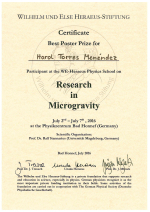 At the WE-Heraeus Physics School on Research in Microgravity, took place in Bad Honnef in July 2016, Harol Torres Menéndez received the Best Poster Price. Ali Shakeri works in the field of particle-based fluid mechanics. Matthew Coleman, student from the University of Notre Dame (Indiana, USA), will work at the Institute as a RISE student on „Assessing open-cell foam structures and monoliths for heterogeneous catalysis“. Andreas Schäfer will work as researcher at our Institute MSS. He is working in the field high performance computing and simulation techniques. MSS alumnus Martin Tupy launches model career, click here. Harol Torres Menendez will do his doctoral studies at our Institute MSS. He is working on properties of passive and active granular matter. The Süddeutsche Zeitung reports on a MSS students project in collaboration with the European Space Agency and the Cornell University. More information about this students project can be found under here. Prof. Dr. Michael Engel will work as Assistant Professor at MSS. His research focuses on understandingg the appearance and role of order in condensed matter. For this aim, Prof. Engel combines scientific knwoledge and engineering prinicples to investigate fundamental processes that drive self-assembly and dynamics on the molecular, nanoscale, and colloidal level. Prapanch Nair will work as Postdoc at our Institute MSS. He is an expert in Multiphase Flows and Simulation Techniques. Daniel Nasato will work as Postdoc at MSS. He is an expert in Granular Flows and Granular Packing. The FAU Newsletter reports on MSS students project in collaboration with the European Space Agency and the Cornell University. Prof. Thorsten Pöschel was honored a 2015 Distinguished Referee by EPJ. This week the final experiments at the drop tower facility in Bremen were performed. We have now the first results of the drop tower experiment: Imbibition of a water drop into a porous medium in zero-gravity. For details please see Drop Your Thesis 2015. There are some more impressions of the „Lange Nacht“ in Media Coverage. Today three of our colleagues, Jonathan, Laura, and Flo, started for the drop tower facility in Bremen. There they will put the last pieces of the experiment together and perform the last mechanical and security tests. The actual drop of the experiment is scheduled for beginning of next week. We wish them good luck and good data. 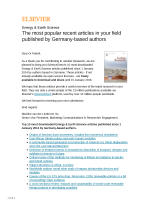 A MSS paper is the most downloaded article from „Energy & Earth Science“ papers published since 1 January 2014. 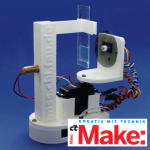 The institute participated at the Science fair “Die Lange Nacht der Wissenschaften Nürnberg-Fürth-Erlangen, Saturday, 24.10.2015″, 6pm to 1am. 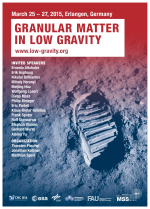 Prof. Pöschel spoke in front of over 1000 people in the fully occupied Audimax, the biggest lecture hall at the FAU, about realizing microgravity conditions on earth without going to outer space. The lecture was accompanied by several experiments performed by members of the chair. „Nature“ – „The rise of fully turbulent flow“ by MSS member Baofang Song now online. 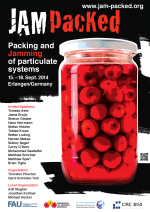 Baofang Song just published an article about the rise of turbulent flow in „Nature“ magazine. 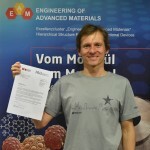 The Cluster of Excellence EAM granted Patric Müller the „EAM Starting Grant 2015“ for his proposal „Particle-based simulation of reactive flows PARSIVAL“. Ute Hespelein will take over the secretariat at the institute. We also want to thank Joanna Gargasz for her long support as secretary since the beginning of the institute and wish her all the best for her future. The Particle Simulations conference is now over and we want to thank all participants from around the world for taking part in this fruitful conference. A lot of beneficial ideas were exchanged and we hope that it will bring additional successful cooperations in the future. In der Erlanger Innenstadt hat in der Nacht auf Mittwoch die Fassade eines Gästehauses an der Ecke Innere Brucker Straße/Westliche Stadtmauerstraße gebrannt. Die Feuerwehr war mehrere Stunden im Großeinsatz. Hotel in Erlanger city in flames: In the Erlanger city has burned the facade of a guest house on the corner inside Bruckerstraße / Westliche Stadtmauerstraße at night on Wednesday. Firefighters were several hours in large-scale operation. Lidia Almazan (member of the group) and her soccer team made the second place at the German University Großfeld Championship 2015 for women. They lost against the team of the university Marburg in penalty shootout. 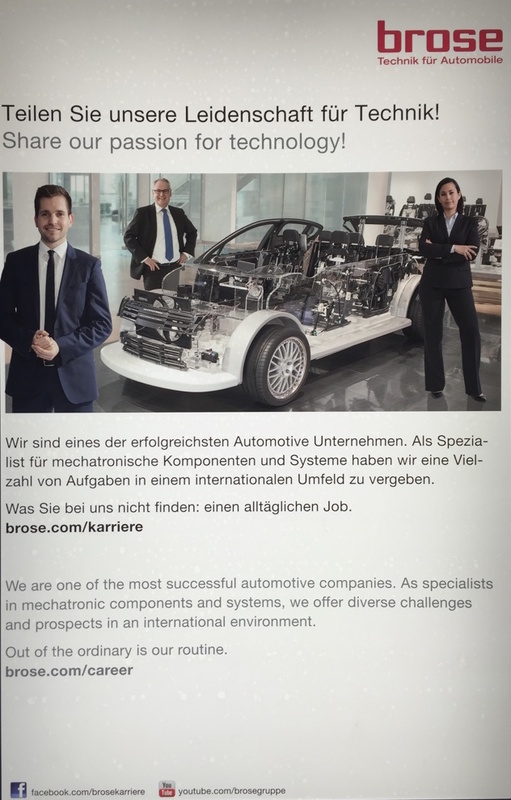 More information can be found here (in german). Tara will work on the granular swelling effect. 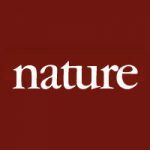 Eric Parteli was appointed to the editorial board of Nature – Scientific Reports. 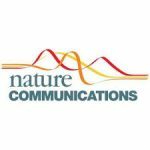 Launched 2011, Nature – Scientific Reports is a multidisciplinary journal of the Nature Publishing Group (NPG), which covers all areas of the natural sciences – physics, biology, chemistry, earth sciences and the clinical sciences. In Science Magazine Thorsten Pöschel comments on Ernesto Altshuler, a „guerrilla scientist“ from Cuba, and his great low cost experiments. Cristian will work on isotropic DSMC. Matthias Schröter will work as a Privatdozent at MSS. He is an expert on granular media and will intensify the experimental research at the institute. 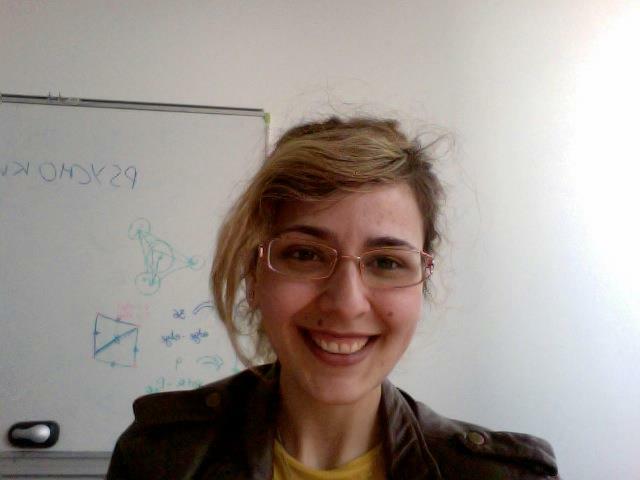 Two students of the institute, Laura and Fabian, were accepted for the ESA’s drop your thesis (DYT) program. They will have the opportunity to perform microgravity experiments at the ZARM Drop Tower Facility in Bremen, Germany. 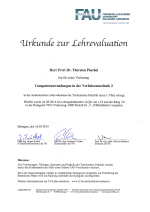 Prof. Pöschel received a certificate for the best lecture in the summer term 2014 for the course „Computeranwendungen in der Verfahrenstechnik 2“. The lectures are anonymously evaluated by the students. Eric Parteli was honored a 2014 Distinguished Referee by EPJ. 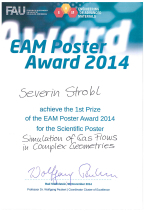 Severin Strobl achieved the 1st Prize of the EAM Poster Award 2014 for the Scientific Poster Simulation of Gas Flows in Complex Geometries. MSS has now a new logo. Eric Parteli received a Certificate of Excellence in Reviewing. 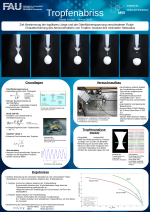 The student group of Kerstin Avila won the second place (200 Euro) for poster presentation at the CBPT course. Lidia Almazan (member of the group) and her soccer team won the German University Kleinfeld Championship 2014 for women. Achim Sack received a certificate for participating in the „drop your thesis! 2013“ campaign. J.E. Kollmer, A. Sack, M. Heckel, F. Zimber, P. Müller, M.N. 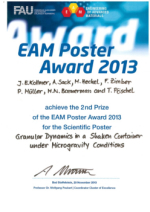 Bannerman and T. Pöschel achieved 2nd Prize of the EAM Poster Award 2013 for the Scientific Poster Granular Dynamics in a Shaken Container under Microgravity Conditions. The FAU Erlangen-Nürnberg was entitled as a „Nvidia GPU Research Center“ for parallel computing using CUDA capable GPUs. The institute MSS is part of this research center.